Humboldt State University Press is releasing its latest publication, Maasai Dictionary, on May 19. This book of translations from English to Maa (the language of Maasai peoples of Kenya and Tanzania) was compiled by Charles Richmond, circa 1940 during his time in the backcountry of Kenya colony, East Africa. Richmond lived in Kenya from 1935 through 1951. He first arrived as a Captain in the King of England’s African Rifles, fighting alongside tribal chiefs in northern Kenya and Ethiopia against Mussolini during WWII. Subsequent to his military service, he returned to England to study theology and was ordained as a minister in the Church of England. 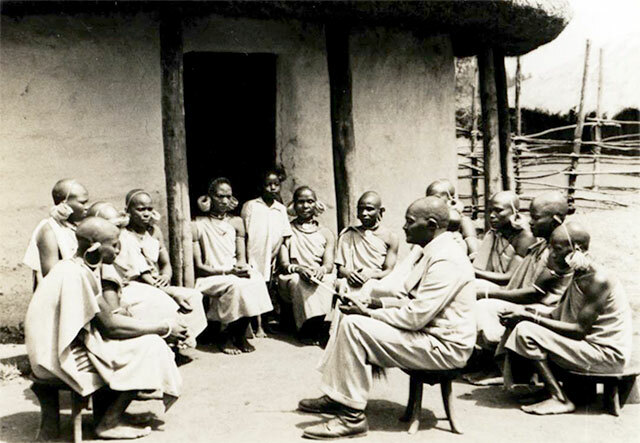 Charles returned to the Maasai and Samburu tribes of central and northern Kenya colony near Lake Rudolph, as a missionary where he married and raised two sons. One of his sons is Rollin Richmond, Humboldt State University President Emeritus. “I am pleased to see the development of a University Press because it not only allows for interesting books to be published and available worldwide, it can also attract good students and faculty,” stated HSU President Emeritus, Richmond. Humboldt State University Press launched last October with the internationally acclaimed children’s non-fiction book, The Extraordinary Voyage of Kamome. Housed in the HSU Library’s Scholarly Communications Office and operated by Library faculty, staff and Library Scholar student interns, Humboldt State University Press publishes a broad scope of print and electronic publications which showcase HSU research and scholarship. All electronic publications will be available on the Digital Commons @ Humboldt State University platform, a network which brings together free, electronic scholarly articles from hundreds of universities and colleges around the world. Forthcoming 2016 publications include: American Prometheus: Captain Bill Jones, the Steel Genius who Made Andrew Carnegie (historical memoir), Vo Phien and the Sadness of Exile (biography), Pinetum Brittanicum (reprint), Costumes of All Nations (reprint), Survey of Communication (open textbook), Humboldt Journal of Social Relations (student journal) and the ideaFest Journal (student journal).